The second test was to determine the "sweet spot" of my lens. When a lens is wide open (i.e. f2.8), the optics are not as sharp. When a lens is closed (i.e. f22), diffraction is your enemy. So, what exactly is the ideal f-stop for optimum optical sharpness? The following image shows a portion of a resolution test chart shot with multiple f-stops. You can read the f-stop in the filename at the top of each image. Obviously, you will want to click on the image to see it at the native size. What this test tells me is that if I stick to apertures between f5.6 and f11 I should be fine... with f8.0 being the most ideal. As I am most interested in doing GigaPans, this test was done at the maximum 70mm focal length. THIS HAS BEEN UPDATED to use Ubuntu Version 14.04 and Java Version 8. Minecraft on a $300 laptop? Yes, it is possible. It will take some work, so be patient and follow along. Based on the very useful information (but not specific to Dell Chromebook 11) from this article. I will take some liberties in describing things (Such as saying that KDE is a version of Linux when technically it is a desktop environment) but it is for the sake of simplicity. When typing commands in a shell, case matters as well as spaces and other symbols. The first thing we need to do is put your Chromebook into developer mode. This will wipe your Chromebook and does take a few minutes. Make sure you copy any files you want to keep to Google Drive or to external storage. Most everything is already in the cloud, so you may have nothing to copy. Once you’ve copied your files, hit ESC + Refresh (F3) +Power Button and hold it down until your Chromebook reboots and you see the recovery screen (white background with yellow exclamation mark). From here, hit CTRL + D, then press ENTER. This sets up your Chromebook in developer mode. You will hear a double beep and the screen will ask you to press space bar to exit developer mode. Wait a few seconds and the computer will reboot itself and continue. DO NOT PRESS THE SPACE BAR!! You will be asked to confirm this action as it does wipe your machine. The process takes up to 5 minutes. After it is done, your machine will reboot and you will see a screen that says “OS Verification is off”. You will see a message that says to hit space to re-enable. Don’t do that. Instead wait 30 seconds for the machine to boot into Chrome OS or to bypass this, hit CTRL + D.
The computer is now in developer mode. If you turn off the computer, you must NOT ever press the space bar when you turn it on again. If you do, you will “power wash” the computer, which will erase everything, including minecraft, Linux and Crouton… and most importantly… ALL OF YOUR MINECRAFT SAVES WILL BE ERASED! DO NOT PRESS THE SPACE BAR!! On the top of the page, you will see a goo.gl link. You need to click that to download Crouton which in turn download Linux. The Linux version we are using is KDE. After you have downloaded Crouton, we can go ahead and install it. To do this, hit CTRL + ALT + T. This will launch a new tab. Next, type in shell and press enter. Next, type in sudo sh ~/Downloads/crouton -r trusty -t xfce and press enter. Crouton will download and install Linux. Trusty is the code name of the release (Trusty Tahr, version 14.04 LTS). It is open-source software and completely free. Crouton is a set of scripts that make it easy for you to not only install Linux on your Chromebook (albeit, in developer mode), but also allows you to run both Chrome OS and Linux OS at the same time. Depending on your internet connection, this process can take up to 30 minutes. Answer any prompts. Once it has finished, it will ask you for a username and password. You will want to write this down somewhere as you will need it often. Next up, we can boot into Linux. Type in “sudo startxfce4” and hit enter. Currently both Chrome OS and Linux are operating at the same time. To get back to Chrome, hit CTRL + ALT + Left Arrow (F1). Once you have done that, use Chrome to navigate to minecraft.net/download and download Minecraft for Linux. If you do not have a Minecraft account, you need to purchase one. Once Minecraft has finished downloading, switch back to Linux. You can do this by hitting CTRL + ALT + Right Arrow (F2). Using the File Manager (Applications Menu/File Manager) navigate to the games folder where you moved the Minecraft.jar file. Right click on the file and choose Send To -> Desktop. This will make a shortcut on your desktop. If you want to hide all the other icons on the desktop, right click on the desktop and choose Desktop Settings. From the icons tab, disable the checkmarks for in the Default Icons section. You can now double click Minecraft.jar on the desktop. The first time you run Minecraft, it will download and install everything it needs automatically. If it doesn't run, right click it and choose Open With Other Application..., then choose Oracle Java 8 Runtime. Be sure the Use as default for this kind of file is checked and click Open. One of the settings you will want to change inside Minecraft is Options, Video Settings… Fullscreen: ON. Quit Minecraft as usual. Log out of Unbuntu. Boot your Chromebook. Press Ctrl-D to skip the boot screen timeout. DO NOT PRESS THE SPACEBAR on the bootup screen! You should be in Linux. Open Minecraft and enjoy! As it is far too easy to power wash the computer and loose everything you have built in Minecraft, I recommend that you backup your minecraft saves folder to your Google cloud account. You can do this by copying the Minecraft saves folder to your downloads folder, then move the data to your Google Drive. Note the period before the minecraft as this is a hidden folder. This command will copy all of your saved games to the Downloads folder, which is shared between the two operating systems. Now switch back to ChromeOS by pressing Ctrl + Alt + F1. From ChromeOS, open the Files application. Drag the saves folder from the Downloads to the My Drive folder under Google Drive. That’s it… your computer will automatically upload this folder to the cloud. Should you need to rebuild your computer again, you can move this data back to the ~/.minecraft/saves directory. These are few things you may want to remember when using this method. Your machine is in developer mode. 30 seconds will be added to the boot time if you don’t hit CTRL + D upon start up. The battery life of your machine will be half of what it is normally. Minecraft is very graphics intense and uses a lot of power and generates a lot of heat and fan noise. Adjust the audio volume from ChromeOS, then switch back to Linux. If you are the user of any Autodesk IFFFS (Flame, Smoke, etc.) 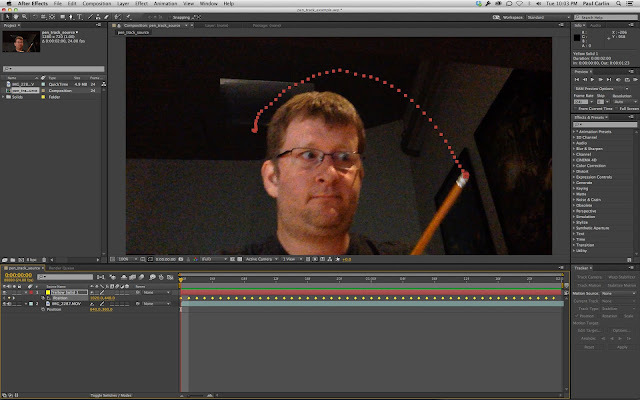 product and you've wondered, "Gee... how can I get my stabilizer data into After Effects?"... this is your lucky day. Most all computers (Mac, Windows, Linux) have some version of Python already installed on them. I will explain the process using a Mac from this point on, but the differences are minimal. Download the script here. Place the file where you can find it. For this example, let's use Downloads. Open Terminal. If you have no idea what that means, then press Command-Spacebar to open spotlight and start typing "terminal". At some point the top hit will be "Terminal" which is a command line shell. Press Enter to launch the application. You will see a shell window open. Let's see what version of Python you are using. Simply type "python" and press enter. My computer is running version 2.7.3, but this script should work with anything after 2.5. To exit the Python interpreter, press Ctrl-D. you should be returned to the shell prompt. Type "echo hello" and press enter. See how fun this is! Type "say hello" and press enter. Alright, alright, let's get back to why we are here. We need to change directory to where the script is. Type "cd Downloads/adsk_to_ae/" and press enter. You may need to give permissions to the script to make it executable. Type "chmod 777 adsk_to_ae.py" and press enter. The adsk_to_ae.py file can be viewed in any text editor if you are curious what it is doing. Now we are ready to run the script. Type "./adsk_to_ae.py" and press enter. You will see the built-in help instructions followed with the error that says you forgot to specify an input file. Here you can see the optional parameters as well. These are needed by After Effects to properly 'map" the data into your comp. Export your stabilizer data from Flame. Be sure to export the Track, not the Shift. Move the resulting .ascii file to the same directory as the script we are using. I included a sample .ascii file for you to play with. Type "./adsk_to_ae.py -i pencil_track.ascii" and press enter. This will create a new text file with _for_after_effects appended to the original file name. Now we need to get this data into After Effects. Open the .txt file using some sort of text editor (TextEdit, notepad, TextWrangler, etc.). Open After Effects and select the layer you are interested in pasting the data into. Press "p" to reveal the position keyframe data. Turn off the stop watch thingie to clear out any existing keyframes (After Effects will combine them with what you paste). PASTE the data. No, really... just hit Command-V. The keyframes will more than likely be off screen. Zoom the viewer out to find them. With ALL the keyframes still selected, nudge them into the correct position using the arrow keys. If you encounter any errors or have any questions, feel free to ask. You can download the tutorial files I used here. These instructions are conveniently provided as a ONE SHEET PDF for printing. Before exporting the EDL, be sure the sequence is as flat as possible. This will remove unnecessary clips that slow down the finishing process as well as reduce the number of video tracks you need to export. In this example, the clips on video track 2 should be brought down to track 1 to cover up the footage not seen in the final output. Titles and graphics should be on separate layers. Set your target track to V1. From the bin, select the flattened sequence and choose EDL from the FILE/EXPORT menu. Set the options to match the settings pictured here. You must save a separate EDL for each video track. Do this by selecting Target Video Track Only and append V1 to the end of the EDL Title. It is customary to append V1, V2, V3, etc. to the end of the file name to represent the video track number. Be sure to set the Audio Mapping to none for all audio tracks. Set Reel conflicts to Generic Edits. Save the EDL with an .edl extension. EDLs are small text files that can be opened (and modified) using TextEdit. You will need to right-click the EDL file and choose Open With... TextEdit. It is also a good idea to export an XML file of the sequence and make a copy of the FCP Project file that contains the sequence. Before exporting the EDL, be sure the sequence is as flat and clean as possible (did you put garbage at the end of the timeline to extend it?). This will remove unnecessary clips that slow down the finishing process as well as reduce the number of video tracks you need to export. You will also avoid any unwanted groans from the finishing editor which will reflect poorly on you, as this is the equivalent of leaving the dishes in the sink for your roommate to clean up. Your settings may vary, of course... but only if you understand what you are doing. You must save a separate EDL for each video track. Do this by selecting V1 from the track selector panel. Click Update. Then append V1 to the end of the Title and click Update again (changes will not stick until you click Update). It is customary to append V1, V2, V3, etc. to the end of the file name to represent the video track number (AKA layers). More than likely you will be finishing picture and sound separately, so be sure to disable the audio tracks in the track selector panel. If you do need audio in the EDL, use V1 for audio tracks 1-4, and V2 for audio tracks 5-8, etc. Do not include the same audio tracks in more than one EDL. You should verify that the reel names in the EDL are accurate and make sense to someone other than yourself. The reel name is the second column and immediately following the event number. You may need to use the source table at the end of the EDL to cross reference the eight character reel name with the actual Avid tape name. Ask yourself, "will the finishing editor be able to find this tape or media file?" It is also a good idea to export an AAF file of the sequence (Linked Media, not embedded) and make a copy of the Avid bin that contains the sequence. Paul is a Senior Flame Artist at Company 3 in Santa Monica, California working on Features.